I was sent this disturbing image yesterday. To the left, a young, innocent Shimon Peres, statesman. 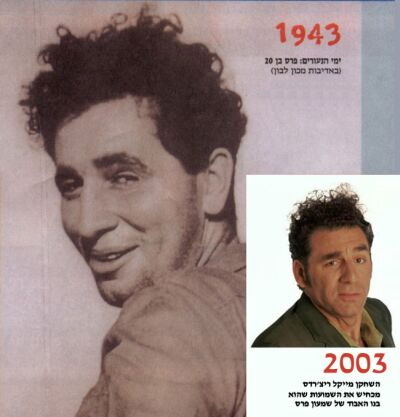 To the right, his lost son, Michael Richards, actor… a.ka. as Kramer.